Be ready for situations that require quick medical treatment with a first aid kit from Mutual Industries. 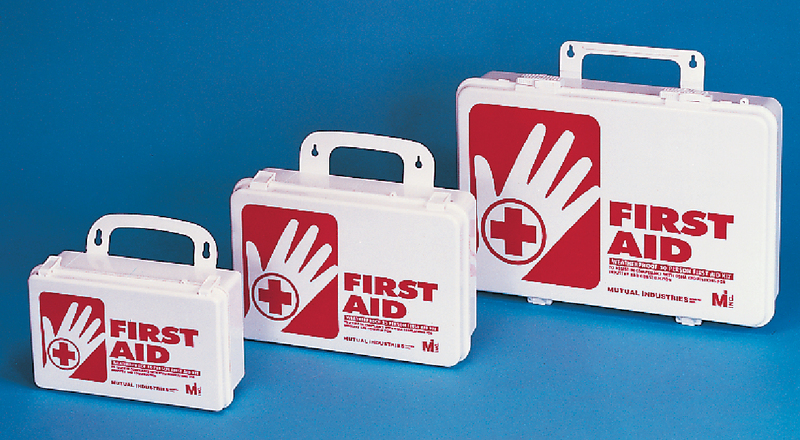 Designed to meet your specific requirements, Mutual Industries First Aid Kits come in 10, 25, and 50 person sizes. Each easy-to-use kit is packaged in a practical weatherproof (gasketed) polypropylene case for added durability and assists in complying with OSHA requirements.